Most people detest the annual chore of filling out tax forms, but they may hate paying taxes even more. 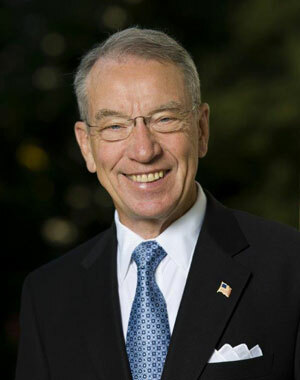 Iowa Senator Chuck Grassley is launching an online survey to take suggestions on what differences Iowans would like to see made in the process. “I’m looking for input from Iowans on what needs to change in the federal tax code,” Grassley says, “specifically, I’m looking for ideas on the individual income tax side.” The Republican is offering the survey from his position as a cochairman of a bipartisan working group on tax reform, as part of the Senate Finance Committee. The tax code is too complicated, Grassley says, and Congress is working to simplify it. “The survey asks Iowans to rank priorities and share views on individual tax breaks that are important to their households,” Grassley says. “The outcome will be valuable as Congress works to enact comprehensive tax reform.” The survey is online and shouldn’t take long to complete. “Iowans, if they want to participate, may go to www.grassley.senate.gov and click on the Tax Survey tab,” Grassley says, “or find a link on my Facebook page.” The survey will be online through the federal tax filing deadline of April 15th. Grassley says the results will be compiled for use in the working group’s recommendations to the full tax-writing Finance Committee in May.